Voice is Pakistan mobile manufacturing brand. 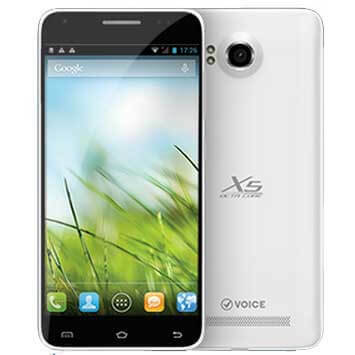 It has launched at this time first Octa-Core processor system Smartphone for its valued buyers of Pakistan with the name of Voice Mobile Xtreme X5. This is an amazing Smartphone has produced by Voice Company in cheap rates now all the cellular operators who really like for using Smartphone in cheap rates so finally wait is over Voice company has launched an amazing Smartphone with 5.0 wide inches display screen in cheap rates. It provides Android Jelly Bean 4.2 system in this launched mobile and customers can use dual sim option by using this hand-set. Voice is newly launched Company in Pakistan and in this present scenario it is attracting cellular operators of all across in Pakistan by introducing sleek and beautiful Smartphone’s. It gives multiple qualities varieties in this launched hand-set for its buyers and they can easily enjoy 13.00 mega pixels back and 5.0 mega pixels front camera facility. This is only hand-set that is providing huge mega pixels camera in this affordable rates. It also gives 3G facilities for using 3G internet without any issue. Voice increased processor speed in this launched hand-set and users of this mobile phone don’t get any kind of hanging issue while using it. If someone want for buying Smartphone in cheap rates so this is prefect Smartphone has introduced by Voice Company. The details of this hand-set are mentioned as below. System: Android OS Jelly Bean 4.2. Processor: Octa Core 1.7 GHz. Rear Camera: 13.0 mega pixels (LED-flash). Display Color: IPS Crystal Display FULL HD. Bluetooth, USB, WLAN, Wi-Fi, GPRS, EDGE. Audio: FM-Radio, 3.55mm audio jack, Mp4, Mp3, WAV. Ringtones: Downloadable, Mp3, Recording, Polyphonic tunes. Other Features: Speaker-phone, Auto-focus camera, Video recording, Light sensor, Voice-recording. Latest Features: Pakistan’s first Octa-Core, Document-viewer/reader, Micro SD-card supports 32GB.